When we’re kids, we know that down is south and up is north. Where a compass points is where Santa lives, and it’s at the top of the map. Life is simple. But when we become men (and women), start doing land nav, and put away childish things, it gets a little more complicated. Because we learn that there’s not one north, but three. One is where your compass points, the other is where the lines on the map come together, and neither of them are true north. This presents a quandary. In order to remedy this, there’s a thing called magnetic declination. And although it’s vitally necessary for accurate land navigation, calculating declination is probably the thing that is the most confusing to new students of the art. To be completely honest, it took me years to wrap my head around it, even though it’s a simple concept. How does all this add up? Think about it. We’ll use Georgia as the example again. If there’s 5 degrees of westward declination between the grid heading you’ve plotted out and where your compass is pointing, then you need to change your heading 5 degrees to compensate and get you where you actually want to go. Of course, there is an easy way around all this: Buy a compass that’s adjustable for declination. Most higher-end compasses can do this. On a Suunto, it’s an adjustment screw on the underside of the bezel. Bruntons have a press-and-twist mechanism to adjust it. Just make sure that if you travel outside of the area you normally train in, you change your declination settings to match. However, even if you have gear that compensates for it, knowing how to do declination is a critically important skill in land navigation. 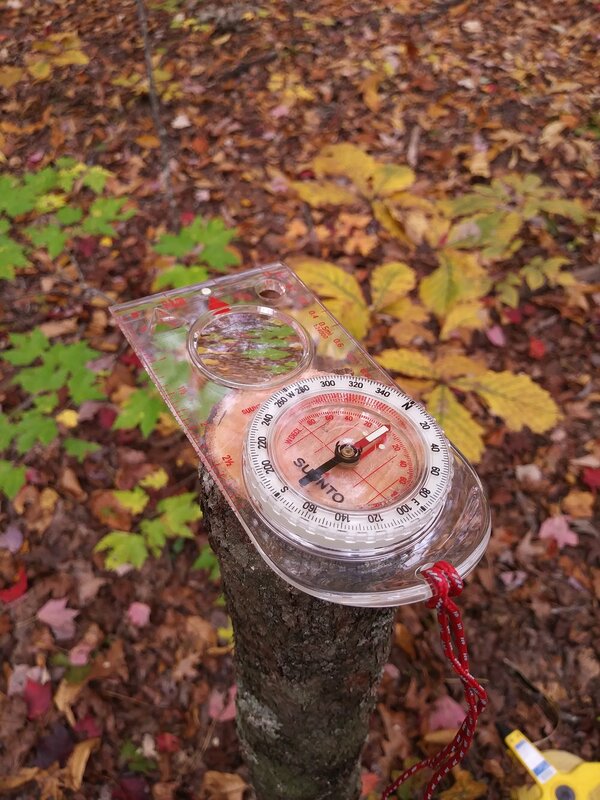 If there comes a point that you have to use your backup compass that isn’t as nice, or are borrowing someone else’s, then you’ll have to calculate it the old-fashioned way. I hope that clears the subject of declination up somewhat. For me, the only thing that helped was doing lots and lots and lots of land nav. If you’d like to practice this skill in the field under the watchful eyes of Jonathan and myself to help you make sure you get it right, join us for Land Navigation Essentials this coming Saturday, March 30th from 9am-7pm! We’d love to help you work through it! Learn more and register at www.sarcraft.com/land-navigation-essentials!